COMBINE all ingredients except crackers until well blended. SPOON into a serving dish. 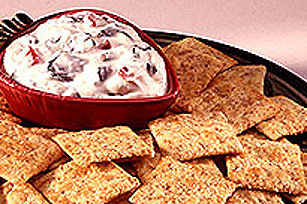 Serve as a dip with WHEAT THINS Crackers.